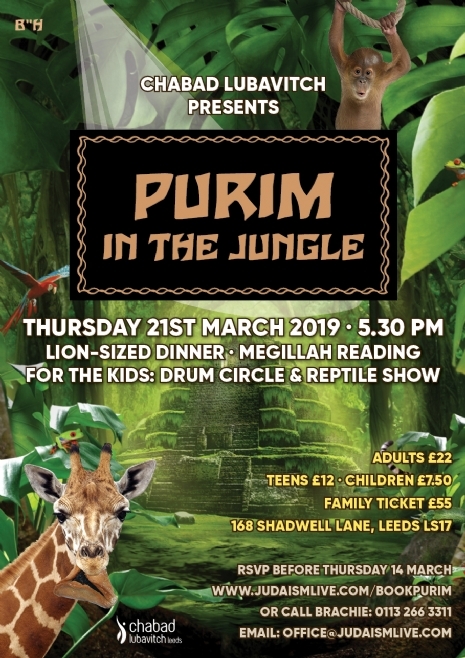 Please join us for Purim in the Jungle! 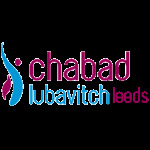 Enjoy a Lion Sized Dinner, and of course the unique Chabad Lubavitch atmosphere! Adults £22; Teens £12; Children £7.50; Under 5's go free.